Some might call STPL a cop-out but you can’t blame the man for hustling to broaden sneaker consumerism. Not to mention, despite being a fallen brand and the fact that these are sold at Payless, many were impressed far more than they thought. 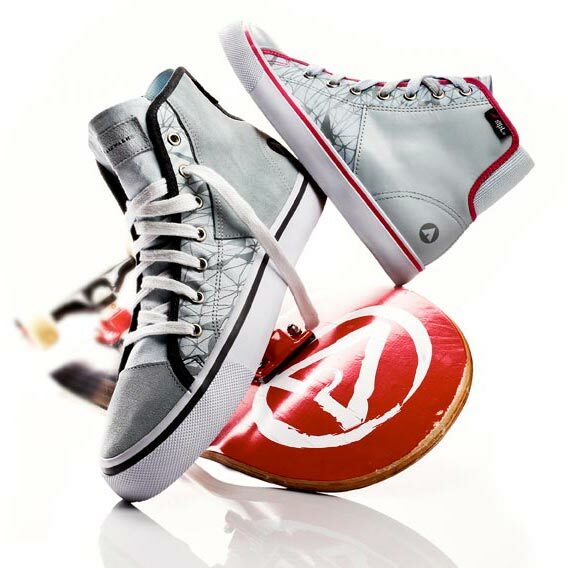 To follow up on STPL Design’s work for Airwalk, the new Spring 2010 collection has surfaced with new models and colors. The most notable pairs include the Facet, which resemble the classic profile of a Chuck Taylor or Blazer, the women’s Gallivant taking notes from Vans’ Zapato Del Barco. Most interesting of all- and probably the most risky form a selling point of view- is the Stovepipe, taking on the role of a women’s knee-high zip look. And there are plenty of other models to choose from, including some for kids, all complementing each other with bright Summery colors. These should already be at your local Payless, if not soon.